The idea still rings true half-a-century later as technology increasingly pervades every aspect of our daily lives pre-robot revolution, including talking virtual assistants, smartphones, VR headsets, tablets, and, of course, mobile apps. There’s around five million apps available for download on any given day and in one quarter alone more than 17 billion of them were downloaded. Or roughly 5.7 billion a month, 188 million each day, 131,000 each minute. It’s a crowded world, and people very quickly developed a sense of what was worth their time as 80 percent of all downloaded apps are deleted after a single use. It’s like dating, am I right? Vying for a piece of one’s valuable time and space (quite literally the precious space on their phones not taken up by pictures of food) you have to fight for that quick “A ha!” moment. For Timehop, that’s the moment we show you your first photo from this day last year. It’s surprising. It’s delightful. It makes sense, instantly. And such is the big challenge for companies trying to grow or broaden their functionality while staying elegant, simple and frictionless. It’s a constant concern staying true to a clear overall mission while tackling real complexities of a problem for your user. Oh, and it should feel personal. And delightful. And innovative. Easy enough, right? It’s incredibly easy to be distracted by shiny objects and new opportunities. When you’re working towards growth, every idea is a siren song, pulling your ship towards some rocky outcrop and impending doom. That may seem dramatic, but many underestimate how important it is for an app, or company as a whole, to have a clear vision of what they are solving. If you don’t know that yourself, how can you be sure you’re communicating it well to your users? (This sounds a lot like RuPaul’s advice for a company Mission.) With Snapchat, for example, they’ve talked ad nauseam about leading with a live camera feed, steering users to always be creating and sharing. 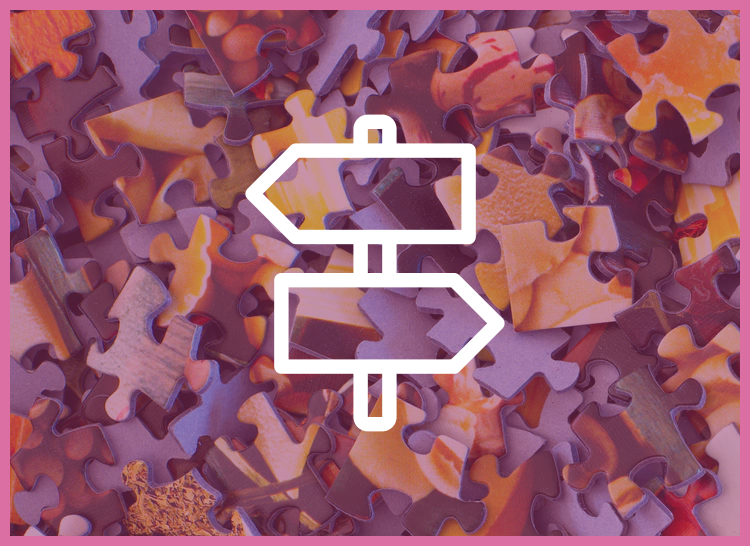 Raj Kapoor, Chief Strategy Officer at Lyft, refers to this lead-to-action flow as “the golden path.” It’s where the app leads its users and, no matter what features or functionalities are added, this path never changes. Sounds easy, but consider that even the smallest change to the initial experience can reverberate throughout the app. Even the smallest of new features threatens to disrupt the balance of added value with your golden path. Of course, as always, there’s a downside. Staying too focused makes it easy to feel accustomed and accepting of non-change, thereby reinforcing the status quo vs encouraging out-of-the-box thinking, said Jack Chou, Head of Product at Affirm, a financial services app to buy products. Apps have to find a middle ground, a way where they are able to open up new experiences for their users, while also not messing around with what makes that app special in the first place. But obviously it’s crazy to think about shutting out all new opportunities and experimentation. There’s a world of experiences to explore surrounding nostalgia at Timehop and we give ourselves freedom to have fun all the time. But how do we find that balance? For starters, we default to simplicity. We kiss: keep it simple, stupid. “As long as it seems simple to the user, then we’re doing our job,” said Niki Sri-Kumar, Chou’s colleague at Affirm and Senior Product Manager focused on building out the company’s biggest feature rollout yet: Affirm Anywhere, which turns the Affirm app into a mobile phone credit card. This sentiment was echoed by Chris Erickson, COO & Co-Founder of Apartment List, a popular app to find apartments. Part of keeping an app simple is to still tackle the complex and tedious problems for the user so they don’t have to do it themselves, he said. Stay focused. Got it. But that doesn’t mean that simplicity is the same for all your users. The nuance of nostalgia is a little different for everyone. We’re humans with different lives, experiences, and technology. Not everyone wants the same Timehop experience and understanding this world of difference can make a big difference in the way they use your app. For example, in some areas of the country, particularly more rural parts, they tend to use the scheduled ride feature more than those in the city, where there are plenty of cars at any given time. “The question is: how do you deal with that? Do you change the interface if we know someone’s in a rural area? If you change it for everyone it distracts from the experience. So those are the kinds of tradeoffs that we have to go through,” he said, adding that the interface isn’t changed for rural users. There’s a whole life of experiences every person has before ever opening up your app that makes for a different way to tailor to them. On top of that is an effort to understand how society’s collective habits may be changing and what that means for you. While doing that, the company goes on a journey with its users, building up a history of experiences. “Our goal hasn’t changed -- connecting renters with the best place for them,” said Apartment Lists’ Erickson. “What has changed is our ability to go deeper into the experience with them. As we stay with renters for a longer and longer time, we can add functionality that helps them, not just from that search for a place, but to communicate, decide and actually move into that place. In this case, the company’s main goal has not strayed, but it has more data, a richer understanding of people’s context, and better expertise to understand how to make that core use-case better. Apps have to walk a fine line between staying true to their mission and evolving to stay alive. But for every Facebook, which has embraced become something like 10 businesses in one, there’s a Twitter, a company that has openly admitted that it needed to be less confusing to entice more users. We’ll obviously see how that goes. Clearly, there isn’t a one-size-fits-all rulebook for how apps evolve. Sorry if you came here looking for that. 404. It doesn’t exist. But underlying best practices and collective experiences, not the least of which is staying on that unfettered golden path and delivering on your promise, before promising more. There is a sense of calm and purpose in focusing on one job, one problem, one golden path--not only for the end user, but also for the teams trying to deliver who want clarity of mind. It’s a fascinating challenge for designers and engineers alike, as our instinct sometimes drives us to build more, not to build better. For Timehop, this means learning more about our collective experiences and focusing on the simplest path to reliving those memories together.